Rain until this evening and breezy later this morning. Blue HIll Harbor is located off the northwest end of Blue Hill Bay just west-northwest of Long Island and due west of Union River Bay. 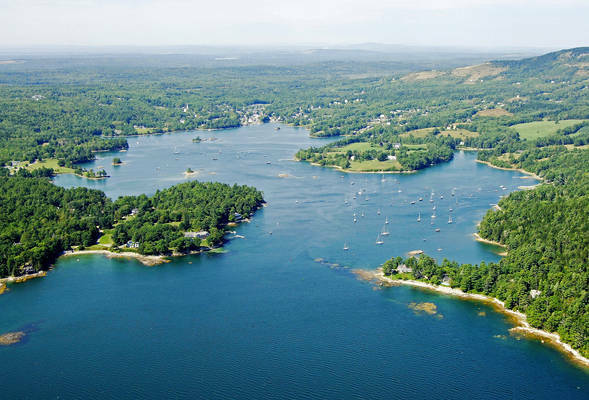 The town of Blue Hill (located on Blue Hill Bay) Has three marine service and marina facilities and one of those three has slips for transient guests. 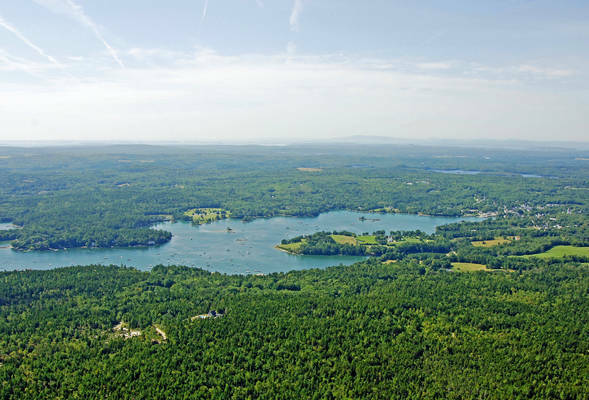 If you plan on using the Blue Hill Town Wharf, keep in mind that the docks are dry at mean low water. The image above is a view from the southeast looking northwest over the entrance to northwest Blue Hill Harbor. Off to the right (east) at the opening, Sculpin Point can be seen, while Parker Point is off to the left. In the upper right-hand side of the image, a large mooring field is visible. 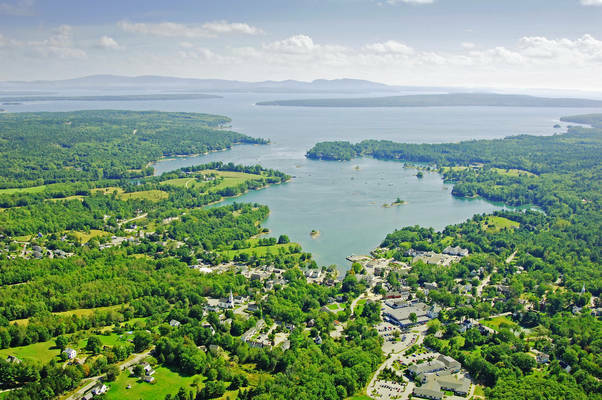 Up and to the left, is the town of Blue Hill, and all of the marine service an marina facilities for the area are located here. Started out as a township granted to the veterans of the last war against the French, other settlers followed, and in 1789, a town charter established Blue Hill. 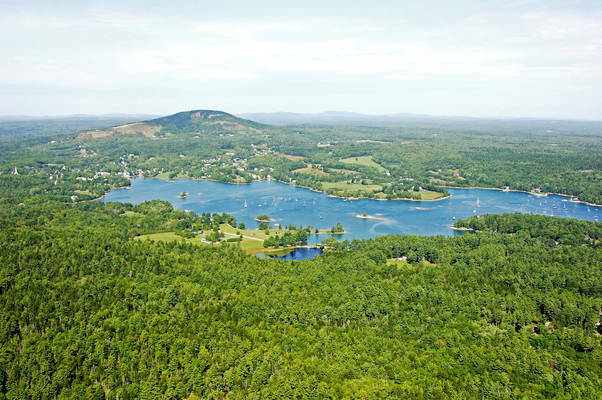 Sea trade and the Maine tradition of fine wooden shipbuilding provided Blue Hill with its first real economic foundations, and saw mills and lumbering sprung up beside the shipyards to provide timber for ship construction and repair. Today, Blue Hill serves as a pleasure and commercial fishing harbor, receiving many visitors each summer season. 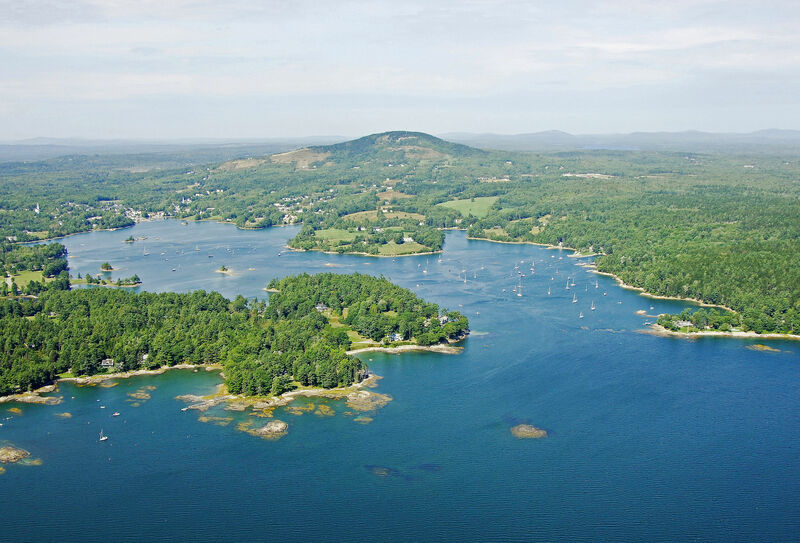 Blue Hill Harbor is reached via an approach from the south or west via the West or East passages from Blue Hill Bay, respectively. 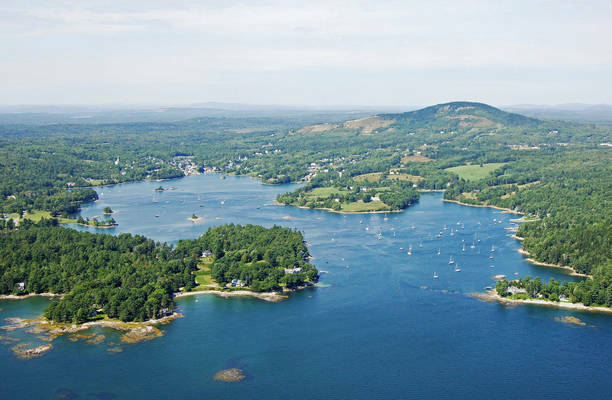 If you are arriving from the East Passage where it turns into Union River Bay between Newbury Neck and Long Island, first set a course to intercept the area around waypoint N44 23.4298 W68 30.523. Once you have safely navigated to the waypoint, set an approximate course of 308 degrees magnetic for about 2.5 miles to pickup green can buoys 1 and 3, which both mark a rock shoal to their west. After leaving green cans 1 and 3 to port, set a new course toward the harbor opening to intercept green can buoy 5 and red nun buoy 6 (both visible in the image above). 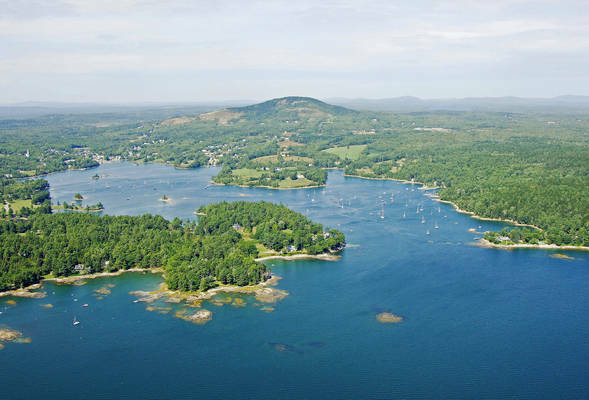 It is especially important to leave red nun buoy 6 well to starboard, as a long rock shoal extends out into the harbor from Sculpin Point (visible in them image above center right). Once you are clear of Sculpin Point Shoal, a mooring field with available tie-ups opens up to starboard. 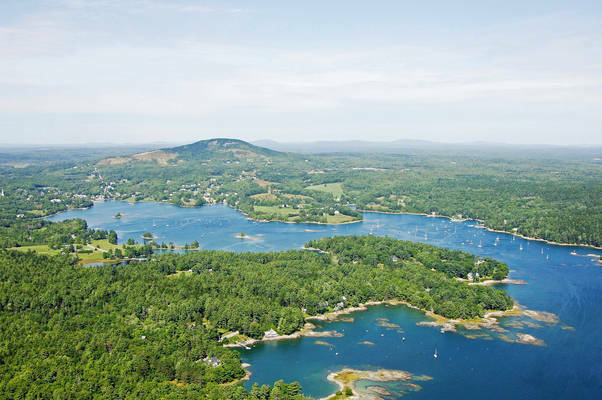 Farther in toward the northwest, you will find green can 7 and red nun buoy 8, which lead around a rock ledge area known as The Triangles. From here you can work in toward Blue Hill Town Wharf or Raines Marine, which offers transient slips. Both are situated in extremely shallow water, however; some areas bare to dry at low tide. Exploring from the water is one of the most enjoyable past times here on the coast. The ocean is relatively flat due to our distance from the open Atlantic, although it can get quite choppy when the afternoon sea breeze kicks in so be alert in a small craft. Blue Hill Harbor is full of classic boats and is quite large and safe. Bring your own kayak or canoe or you can rent one locally. No reviews yet! Be the first to write a review of Blue Hill Harbor.